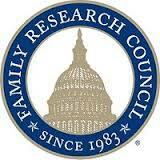 Family Research Council was founded in 1983 as an organization dedicated to the promotion of marriage and family and the sanctity of human life in national policy. Focus on the Family Focus on the Family provides relevant Christian advice on marriage, parenting and other topics. Find practical resources for every age and lifestage. Calvary curriculum This website has been created for the purpose of supporting and blessing those who minister to children. Here you will find FREE resources such as Bible curriculum, trainings, encouragement, and other helpful materials. We like to think of this site as "A Digital Resource Room."